Memphis Light, Gas and Water believes that a sound educational system is the foundation for a healthy community, and the company offers a number of programs to support students and teachers in being successful. MLGW has adopted Hamilton High School to support educational enrichment activities to the student body. In addition to providing mentoring, MLGW employees interact with students through various activities including field trips, essay contents, and Black History Month celebrations. The Children's Museum of Memphis (CMOM) and Memphis Light, Gas and Water have partnered in the development of an energy education program targeting children in grades 2-5. The Energy IQ Traveling Lab is available to teachers for loan, and each lab includes a curriculum guide and one week's activities related to concepts of saving energy. The lab is available for loan to Memphis City Schools, Shelby County Schools and any other school located in Shelby County at no fee. Reserve your lab by calling (901) 458-2678. 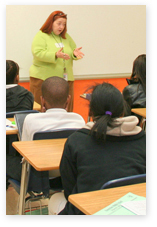 MLGW Goes to School encourages students in Memphis City Schools to explore career opportunities in the utility business. Students become familiar with the study and training needed to prepare themselves for careers in the utility industry. It is important that energy consumers be educated at an early age on the importance of wise energy usage so that they adopt conservation habits. As part of our educational outreach, MLGW offers free energy education materials and companion teacher guides. MLGW is a major sponsor of The Weekend Academy, an educational outreach program initiated by Tennessee Valley Authority in 1996. The programs enrichment activities focus on improving oral and written communications, thinking, reasoning and problem solving skills, as well as improving school attendance. Approximately 30 third, fourth and fifth grade students from Hamilton and Cummings participate in the program during each school year.